As we can see and sure of that there is no limit to what God can do. 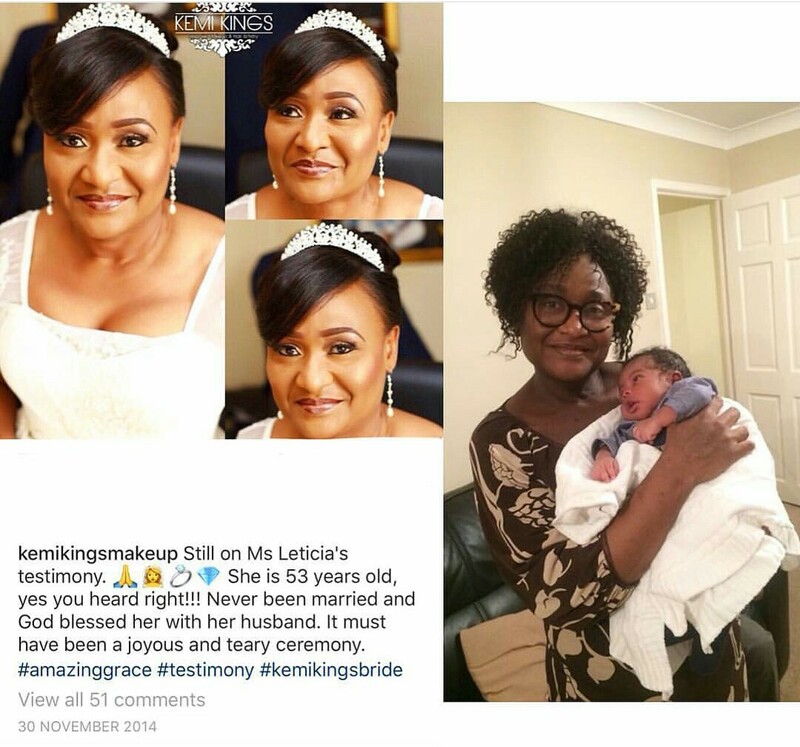 This has to with a woman identified as Leticia, who got married at age 53 in 2014, now a mothers a bouncing baby boy. Her makeup artist shared the good news on her Instagram page, with a photo collage of her wedding in 2014 and where she is rejoicing with her baby. Do you remember my 53 year old 1st time bride in 2014?!! God has just blessed her with a beautiful baby boy.